Dinner at Toutouan (燈燈庵) in Taipei. 2007 F.X. Pichler Riesling Smaragd Loibner Berg - my friend opened this bottle the night before and drank less than half the bottle. Very floral with lots of white flowers, white pepper, mineral and a little sweet honey. Round and rich on the palate. Very nice despite having been exposed to oxygen for a day. 1990 Nicolas Potel Meursault 1er Cru Perrières - initially pretty closed, with some marmalade, sweetness on the nose but slightly bitter. Over time the nose opened up and some of the classic toasty nose of Meursault came out, but overall it was a little green and straw-like. Not like a Meursault at all, and pretty disappointing. Dinner at Tutto Bello in Taipei. 2004 Domaine de la Bongran Viré-Clessé Cuvée E.J. Thévenet - lots of toast, sweet, toasty corn, a hint of citrus. Very lovely nose. Pretty ripe on the palate, with some acidity. A wine that punches above its weight. 2004 Domaine Leflaive Puligny-Montrachet 1er Cru Clavoillon - much bigger nose of toast, sweet and ripe on the nose. Later on a little acidity showed up on the palate. Clearly a few classes above the last wine. Dinner at Justin's Signature in Taipei with Ann Colgin and Joe Wender. Ruinart Brut Rosé - nose of minerals and salty, preserved plum. 2007 Colgin Herb Lamb Vineyard - smoke, a little burnt, sweet red fruits and mint. Really big and alcoholic, with big tannins. After a pause, the nose became amazingly sweet, like an explosion of muscovado, along with pine needle. Slightly bitter on mid-palate and finish, along with some exotic spices. A really lovely wine. Pity this was the last vintage ever produced. 1997 Colgin Herb Lamb Vineyard - initially the nose was bigger, more fruity and opulent. Softer tannins. Fragrant and lovely. Decanted for 3 hours prior to serving. Sonia and Paulo's wedding at the Hong Kong Convention Center. 2004 Pol Roger Brut - apparently this batch was released a little early specially for the wedding, as the wine itself is not yet available in the market. Lemon citrus, slightly yeasty. Ripe on the palate. 2004 de Montille Puligny-Montrachet 1er Cru Les Caillerets en magnum - big nose with lots of toast, roast corn and minerals on the nose. Pretty ripe on the palate. What an absolutely beautiful wine! 2004 Gloria - chosen in memory of Paulo's mother Gloria, who sadly left us last year. Mint, spices and wood on the nose. Still a little tannic. 2004 Yquem - totally sweet, with honey and orange blossoms. 1993 Comte Armand Pommard 1er Cru Clos des Epeneaux en magnum - a friend came over with this bottle and poured me a glass, since I hadn't walked over all evening to mooch off them. Smoky, grilled meats, mint and black fruits. Full post on the wedding banquet is here. Lunch at Summer Palace in Hong Kong. 2000 Raveneau Chablis 1er Cru Vaillons - dug this out from my overflowing storage cellar. Good acidity balance on the palate, clearly on the dry side compared to the sweeter, riper wines from more southerly appellations. A little alcoholic, with honey and paraffin in the nose. 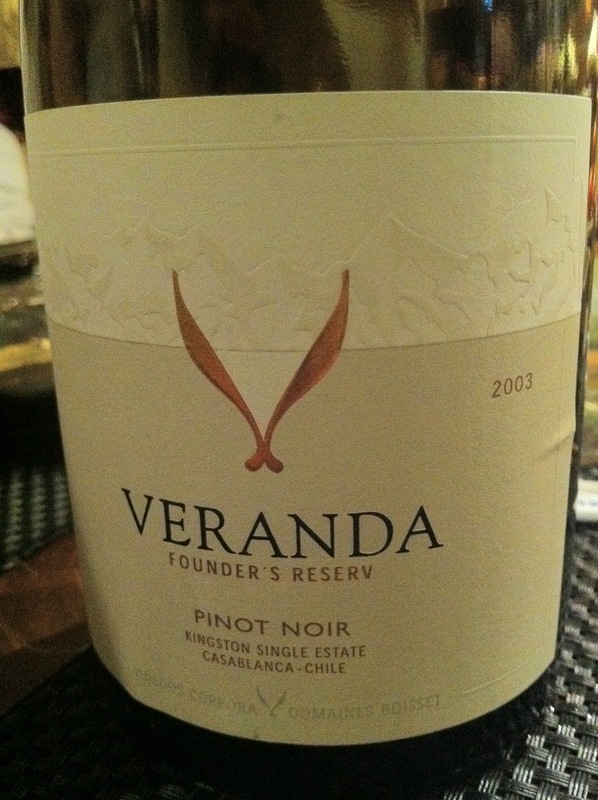 Minerality became very prominent on the palate together with seafood. 2001 Rousseau Ruchottes Chambertin Clos des Ruchottes - sweet, fruity and floral. 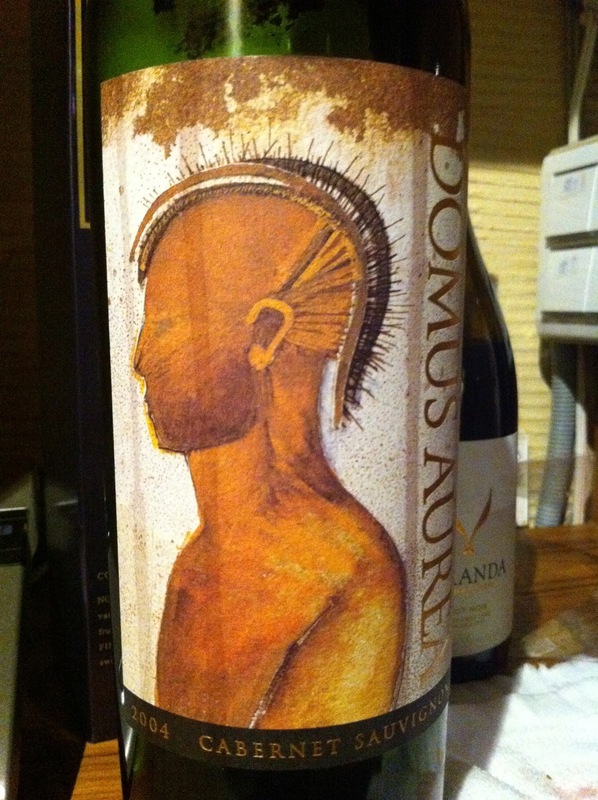 An absolutely lovely wine that was just like a soft, velvety blanket you want to wrap yourself in. Drinks at Caprice before dinner. 2007 Poggio al Tufo Alicante - nose of pine needle, forest, minerals, slate, black fruits. Pretty different and interesting. Soft tannins. Dinner at ACC in Taipei. 2006 Whitehall Lane Cabernet Sauvignon - mint, dried herbs, a hint of flowers, exotic spices, nutmeg? Pine needle and coffee later. Sweet on palate and pretty ripe. A little alcoholic still. Dinner at 久食 Robata Yaki in Taipei. 2007 Mollydooker Carnival of Love - the friend who brought this bottle religiously performed the Mollydooker Shake... a few times! Typically sweet nose with lots of vanilla, oak, cedar and mint. Definitely very forward and "easy" to drink if you like this sort of thing. 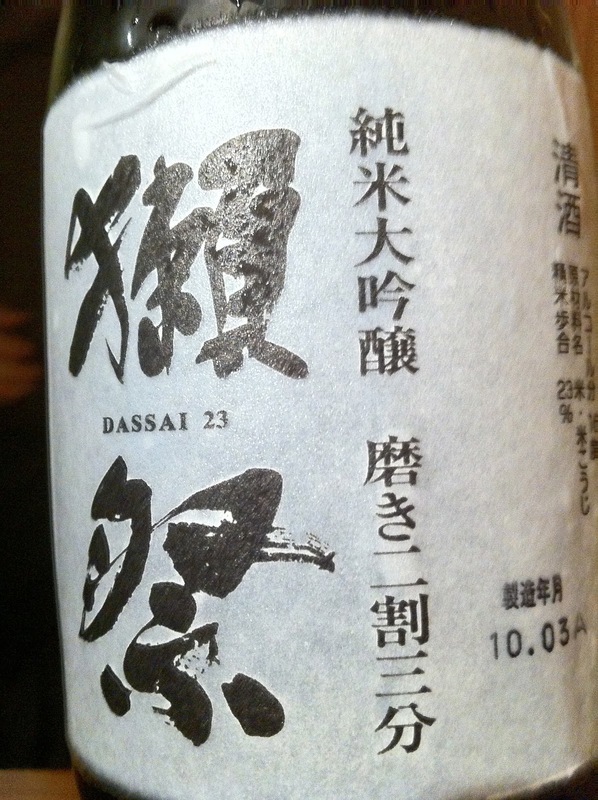 Dassai Junmai Daiginjo 23% (獺祭「純米大吟醸」磨き二割三分) - one of my favorite sakes because it's such value for money... Tropical nose of pineapple, banana, honeydew melon and of course sweet fermented rice (酒釀).